These colors convey that you are self-confident, adventurous, and creative. These warm and energizing hues add eye-catching pops of color to your wardrobe. Classic colors paired with orange include beige, brown, cream, and black. Today's more modern and bolder color pairings include gray, purple, blue and green. 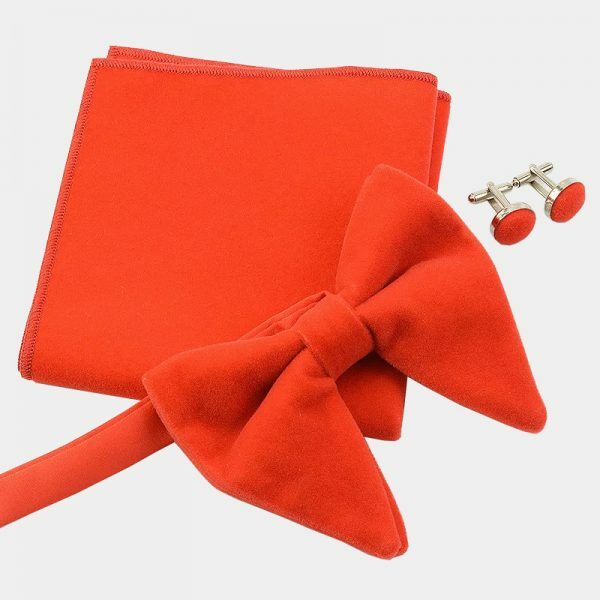 Whether you choose classic or modern styles, we have an orange bow tie to fit your needs. Our bow ties are expertly handcrafted from high-quality materials like woven silk. We carry beautiful styles in stunning paisley, striped, and polka dot patterns. 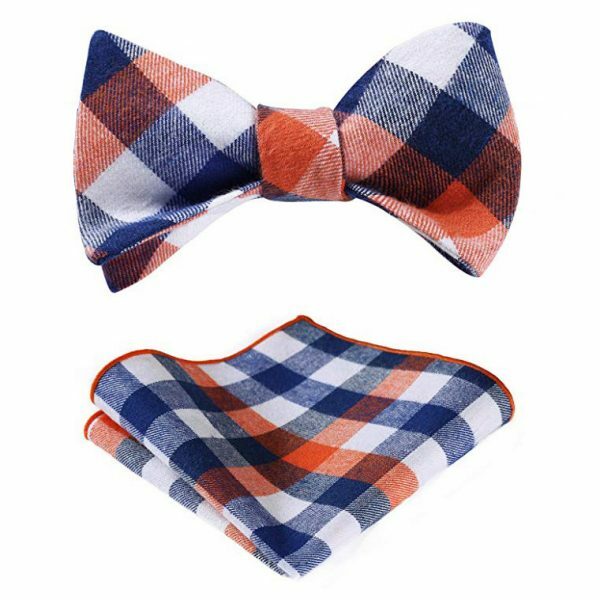 In addition, we offer bow tie sets that include matching pocket squares and suspenders. Thus helping you to stretch your wardrobe dollars further.